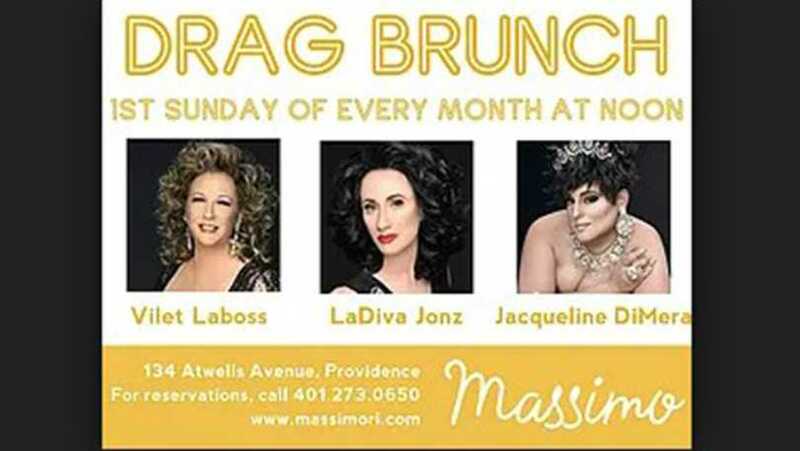 On the first Sunday of each month, join us for a great time and a few laughs at our monthly Drag Brunch. 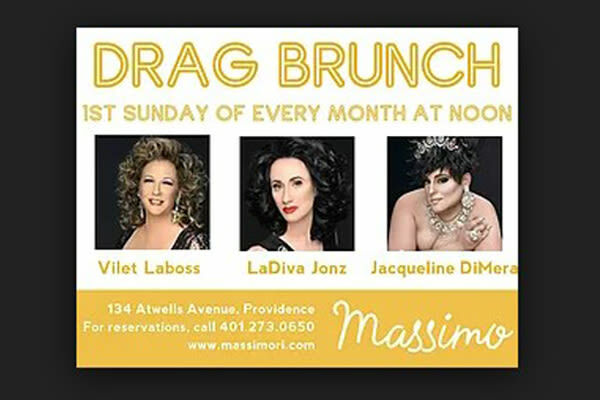 Our performers will be Vilet Laboss, Jacqueline DiMera and LaDiva Jonz! Brunch at Massimo features savory favorites like Pork Cheek Carbonara, Short Rib Hash and Pork Belly Grilled Cheese. Homemade sweets include Bombolinis, Briche French Toast and Mixed Berry Bread Pudding. Of course, no brunch is complete without some boozy beverages to get the day started. Massimo has the perfect Strawberry Caipirinha and Boozy Milkshake, along with classics like Blood Orange Mimosas and Dirty Bloody Marys.